This is an amazing Limited Edition Dent of London Inclined Plane Clock, issued 30 years ago, and made by the original and legendary maker Dent of London. These mystery clocks are also sometimes referred to as Rolling Drum Clocks (not to be confused with Rolling Ball Clocks, frequently seen on eBay), and were invented in the 1680s. Yet very few of these clocks true to the original technology have been made since (see references below), even over the last 100 years! The Inclined Plane Clock descends the sloped plane, over a period of a week. The jeweled movement, with a platform escapement, never needs winding, as the clock powers itself, principally through the "use" of the power of gravity. 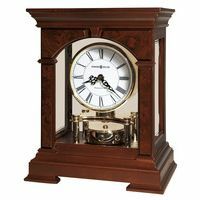 This finely crafted Dent clock is a close copy of the one made by the clock's inventor, Maurice Wheeler, in 1684. Two drawings of parts of Wheeler's 1684 clock are shown in the last 2 pictures below. The Dent Inclined Plane Clock is an excellent and exceptional quality 1974 made clock, of which relatively few have been produced throughout timepiece history (see below).According to a research report on Inclined Plane Clocks, only eleven "sightings" of Inclined Plane Clocks have occured since 1684, when first invented by Maurice Wheeler. This Dent version from 1974 (the larger of the 2 versions Dent made that year in very limited quantities) is referred to as one of the 11 "sightings", and it looks like one of the nicest of the few made throughout history. 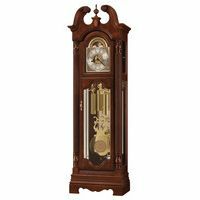 The clock is extremely solid, heavy, and well-constructed, with the incline made of solid brass with solid brass columns. It weighs in at about about 60 pounds, is 28 inches long, 8 inches tall and 4.75 inches in depth. This clock is number 367, and was made for an individual whose name is shown on the clock. It comes with a Certificate of Authenticity (COA), which is signed and numbered. 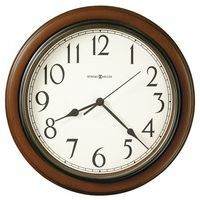 This clock is absolutely guaranteed to be an original, authentic, and authorized Dent clock.